Spray the grill with cooking spray, then preheat to medium-high. Place the ground beef and chorizo in a large bowl. 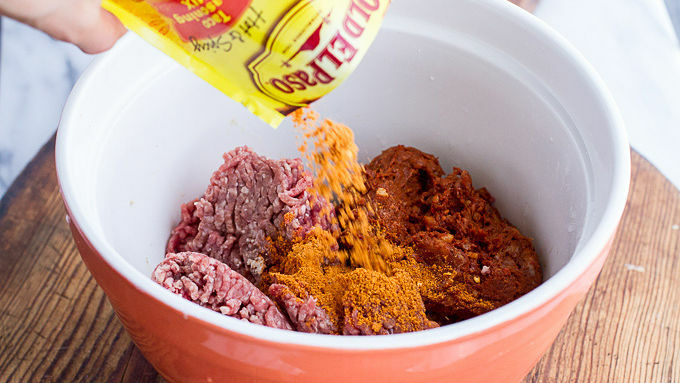 Add the taco seasoning and mix with your hands until just evenly combined. Divide the meat into 6 equal balls. Place a cube of cheddar cheese in the middle of each ball. Use your hands to encase the meat around the cheese. Pat until you have covered the cheese completely and have formed a burger patty. 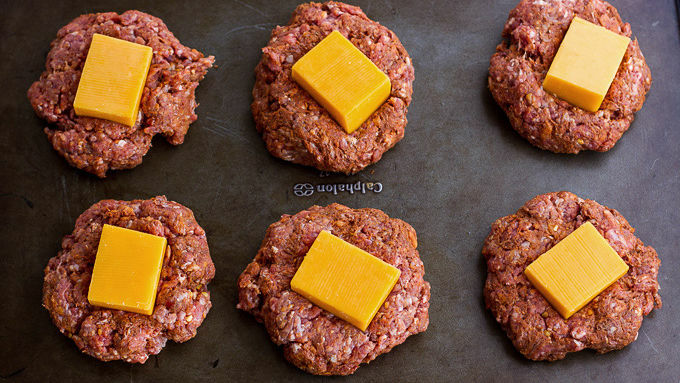 Place the patties on the grill, close the grill, and cook undisturbed (do not press down on the patties) until grill marks appear on the bottom, about 3 to 4 minutes. 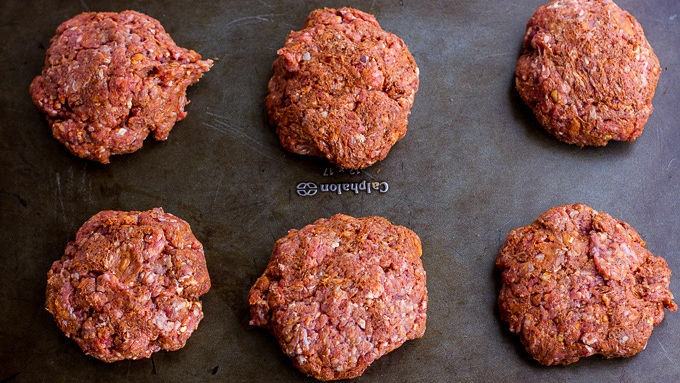 Using a spatula, flip the patties, close the grill again, and cook until grill marks appear on the second side and the patties are cooked through, about 3 to 4 minutes more. During the last minute of grilling add a slice of pepper jack cheese to each patty. 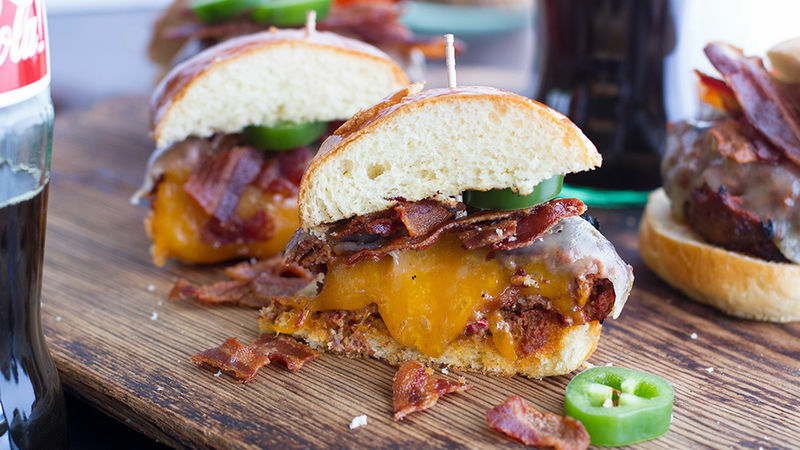 Place a patty on each bun bottom, top with bacon and jalapenos. Add top bun and serve immediately. If you don't have a grill, the burgers can be seared in a skillet on the stove. This Juicy Lucy takes cheese-stuffed burgers to an incredible new level. It's the height of grilling season (not to mention the 4th of July! 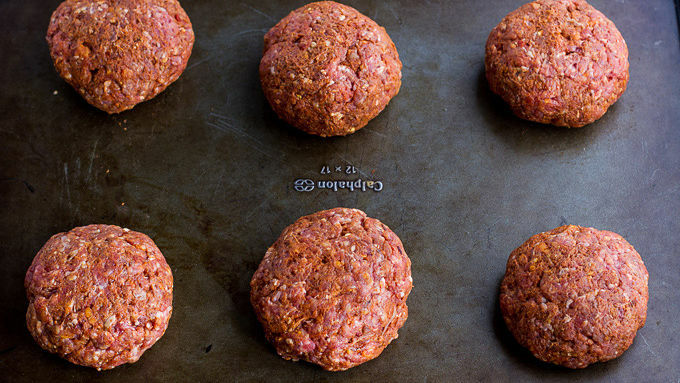 ), so right about now we're all in search of a dang good burger recipe. 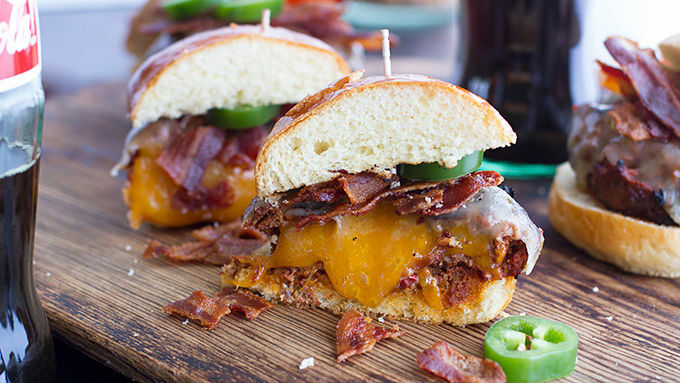 A good ol' cheeseburger can get a little boring, and this is where these Mexican Juicy Lucy Burgers come into play. Typically, Juicy Lucy burgers are stuffed with American cheese and that's the end of the story. But I really wanted to amp up the flavors and create a killer summer burger that is so good it should be made all year. So I swapped out the American for sharp cheddar, then added some chorizo into the beef, along with a little Old El Paso Taco seasoning, and a little bacon on top too ... you know, for good measure. Don't worry if you don't have a grill, the burgers can be seared in a skillet on the stove. Just wait till you get to the middle...Ooey, gooey cheese heaven!